Manipal Hospitals Bangalore was the first hospital in Karnataka to host the prestigious MRCP (Practical Assessment of Clinical Examination Skills - PACES) exam in collaboration with Royal College of Physicians Federation, United Kingdom. Manipal Hospitals has been successfully conducting this examination since 2014 and is a permanent examination centre. Exams are held twice a year. In the present diet, the examination is being conducted on 14th, 15th & 16th February 2019. The examination is conducted under strict vigilance as per the guidelines laid down by the Federation of the Royal College of Physicians, United Kingdom. There are 5 stations through which the candidates will have to go through where the candidates are assessed for clinical skills, history taking & communication. There are 10 examiners for each cycle (5 from UK & 5 from India). 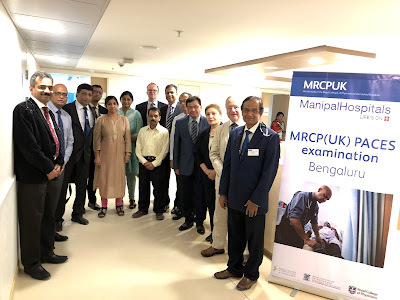 Manipal Hospital, Bangalore has 7 active examiners for MRCP PACES. Manipal Hospitals is proud and privileged to be the center for MRCP PACES in India. This would not only benefit the students across Karnataka & India but also from people all over from the neighbouring countries. Each session has 45 students (15 students per day). In the current session, in addition to candidates from India, there are candidates from neighbouring countries including Bangladesh, Myanmar, Singapore, Sri Lanka, UAE, Iraq & Afghanistan. Quote from Dr. Michael Rudolf, Chair of UK Examiners - The MRCP exam is an important post graduate qualification which is well recognized around the world. The examination is held at many centres and the fact that it is held at Manipal hospital in Bengaluru makes it much easier for many candidates from India & South East Asia to take the examinations. The organization of the exam an Manipal Hospitals is superb and the criteria for passing are identical to all of the other centres within the United Kingdom. All of the staff at Manipal Hospital are to be congratulated on ensuring that this important examination can take place in Bengaluru. TTF, the biggest travel show network in India since the last 30 years is all set for city's travel trade and tourists to meet exhibitors from all over India and abroad, at Bengaluru's Palace Ground. Travel businesses across India and abroad will connect under one roof at TTF Bengaluru for a face to face interaction at Palace Grounds, Tripuravasini. Exhibitors from 9 countries and 18 Indian states and union territories will be exhibiting in the TTF this year. Thousands of trade buyers and travellers are expected to visit the show. The three-day event is supported by Ministry of Tourism, State Tourism Boards, National Tourist Organisations, private suppliers as well as trade associations. Nepal has come onboard as the Partner Country while Gujarat and Himachal Pradesh are exhibiting as Partner States at TTF Bengaluru, besides the colourful presence of Host State, Karnataka. The domestic and international sellers exhibit enthusiastically at TTF as the most effective platform for marketing and promotion of travel and tourism. The State Tourism Boards with largest participation are Andaman & Nicobar, Andhra Pradesh, Goa, Gujarat, Himachal Pradesh, Jharkhand, Karnataka, Kerala, Lakshadweep, Madhya Pradesh and Punjab. Other Indian states and union territories such as Delhi, Haryana, Jammu & Kashmir, Maharashtra, Meghalaya, Tamil Nadu and West Bengal are being represented by travel suppliers at the show. The National Tourist Organisations of India and Nepal are participating at TTF Bengaluru while other countries such as Bhutan, Greece, Malaysia, Singapore, Switzerland, Thailand and United Kingdom are being represented by Destination Management Companies (DMCs), travel operators and hotel brands. Swiss Tours / Tour Fox, Raviz Hotel, Yeti Airlines, Nafex Bureau Private Limited, Trip to Temples, Club 69 Estrela Do Mar Beach Resort, Morickap Resort, Best Western Maryland/Radisson Chandigarh, Big Breaks, Spiceland Holidays & Entertainments, Quality Holidays and Cars, Journey To Ladakh, Neem Holidays, Bikat Adventures, World Tours and several other notable participants are present at TTF Bengaluru. MakeMyTrip has one of the largest pavilions at the TTF. On the first day of the event, the winners of India's Top 100 Travel Producers Award 2019 from Bengaluru will be felicitated. Day 1 of the show will have reserved entry for travel trade visitors from 11 AM till 2 PM. From 16th, TTF Bengaluru will open for all. Entry to the show is free and visitors get a chance to win free gifts and prizes. TTF Bengaluru is supported by Incredible India, Travel Agents Association of India (TAAI), Outbound Tour Operators Association of India (OTOAI), Adventure Tour Operators Association of India (ATOAI), South India Global Tour Operators Association (SIGTOA), The Event and Entertainment Management Association (EEMA), Association of Domestic Tour Operators of India (ADTOI), Indian Association of Tour Operators’ (IATO), IATA Agents Association of India (IAAI), SKAL International and Enterprising Travel Agents Association (ETAA). Travel News Digest is the Official Publication of the event. 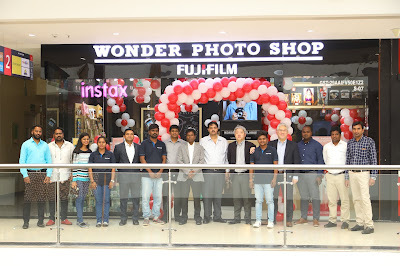 TTF Bengaluru was preceded by the summer editions of Ahmedabad and Chennai, earlier this month. Kolkata will be the next stop. For more than 21 years, U.S. based personalized experiential toy retail brand Build-A-Bear has been sharing hearts and bear hugs globally, and today, after a long wait, Tablez - the retail arm of LuLu Group International, has launched the first Build-A-Bear store in India, at Toys”R”Us, Phoenix Marketcity in Bengaluru. Build-A-Bear is a global customized stuffed-animal retail entertainment brand that aims to reach as many as 9 million households in the top 15 cities in India by 2025. Besides standalone stores, shop-in-shop formats of Build-A-Bear would be launched within Toys“R”Us. 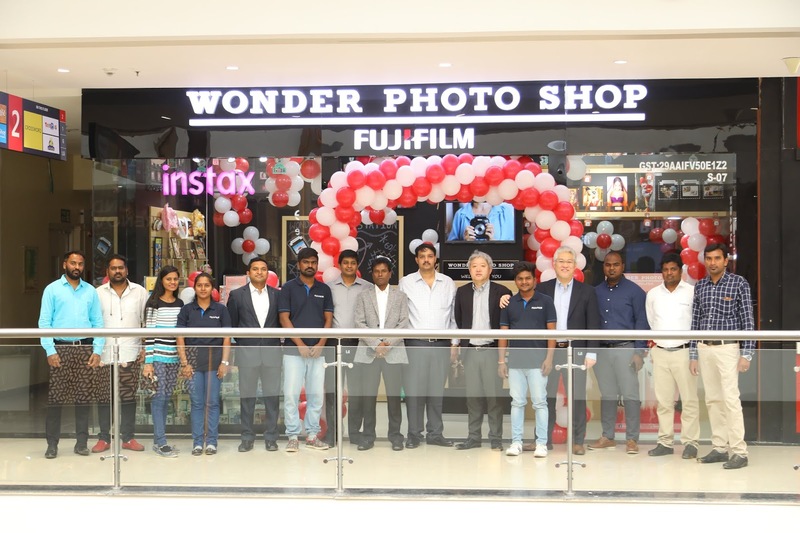 On this special occasion, Adeeb Ahamed, MD, Tablez said: “The Build-A-Bear concept is a one-of-a-kind retail experience, and we are thrilled to open the first store in Bengaluru. Build-A-Bear is synonymous with creativity and novelty for children. I am sure that each child that enters our store will cherish their experience and leave with an indelible memory. Build-A-Bear is a global brand that kids love and parents trust for fantastic family experiences. The ‘Choose Me’ wall at every Build-A-Bear store is where the empowerment journey begins as each guest chooses an unstuffed animal to bring to life. Accessories give customers the freedom to customize their creation. The heart ceremony is where one can add special wishes to their friend. During the stuffing process, a heart is placed in the bear along with special wishes, and the guest promises to care for their new furry friend once they are given the birth certificate. This signature ceremony brings each stuffed animal to life in a personal way, further ensuring a greater attachment. Established in 1997, Build-A-Bear has helped millions find their own meaning in a new furry friend. The brand has nearly 500 stores worldwide and more than 180 million furry friends have been made globally in its 21-year history. Build-A-Bear helps guests mark special occasions, starts friendships, and inspires people to make their own adventures. At Build-A-Bear, one is empowered to feel that anything is possible. Further, a Build-A-Bear shop-in-shop format will follow in Vega City Mall, Bengaluru; City Centre Mall, Mangalore and Phoenix Marketcity, Pune. Build-A-Bear plans to expand to as many as 65 shop-in-shop format stores and 20 standalone stores in India over the next 10 years. Flight Lieutenant Hina Jaiswal has created history by becoming the first Indian woman flight engineer. She successfully completed the Flight Engineers’ course at 112 Helicopter Unit attached to the Air Force Station, Yelahanka near Bangalore. Commissioned on January 5, 2015, in the engineering branch of the IAF, she has served as chief of firing team and battery commander in a frontline Surface to Air Missile squadron, before being selected for the Flight Engineers’ course. Hina earned her Flight Engineer’s wing on Friday. During the course of the last six months of gruelling training, she displayed unflinching commitment, dedication and perseverance, said an official statement from the Defence Ministry. Flt Lt Hina Jaiswal hails from Chandigarh and has completed her Bachelor of Engineering degree from Panjab University. The only daughter of D K Jaiswal and Anita Jaiswal, Hina dubbed her achievement a “dream come true”. Since childhood, she had aspired to don the soldier’s uniform and take to the skies as an aviator. 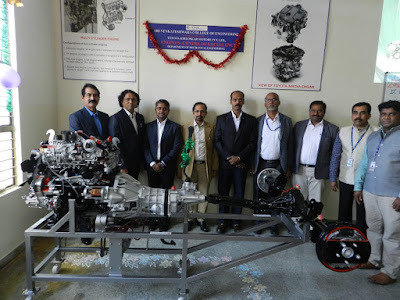 The realisation of that dream took its root from the alma mater of Heli-lift. 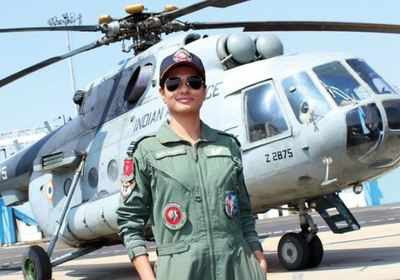 As a flight engineer, Hina would subsequently be posted to operational helicopter units of the IAF. While in the unit, she would be routinely called upon to operate in demanding and stressful conditions, right from the icy heights of the Siachen Glacier to the seas of the Andamans. In the last few decades, the Indian defence forces have taken very long strides to become more gender inclusive. Since 1993, the IAF has commissioned women in the officer cadre. They have also been inducted as pilots in various streams of the IAF. 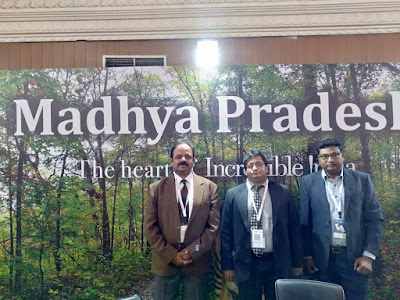 Being one of the forerunners among the economically rising states of incredible India, Madhya Pradesh Tourism Board has participated in TTF (Travel & Tourism Fair) held at Palace Grounds, Bengaluru from Madhya Pradesh is a state that reflects the true cultural heritage of Incredible India. Through the amalgamation of various communities and castes, the folklore and historical monuments makes Madhya Pradesh one of the most sought after tourist destination. 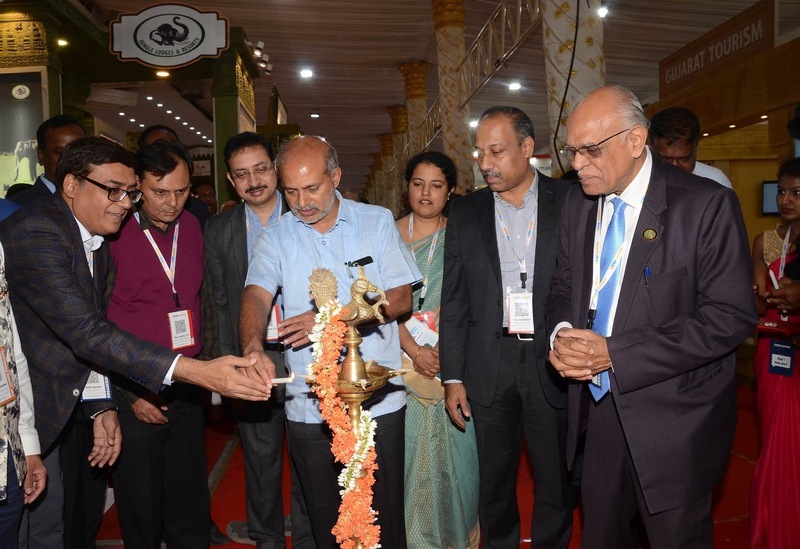 TTF Travel & Tourism Fair held in Bangalore is India's leading exhibition for the travel and tourism industry. It provides an annual opportunity for organizations from India and abroad to showcase their products and services. The trade fair was visited by India’s leading tour-operators, travel agents and hoteliers, airlines and media professionals from different corners of the country. 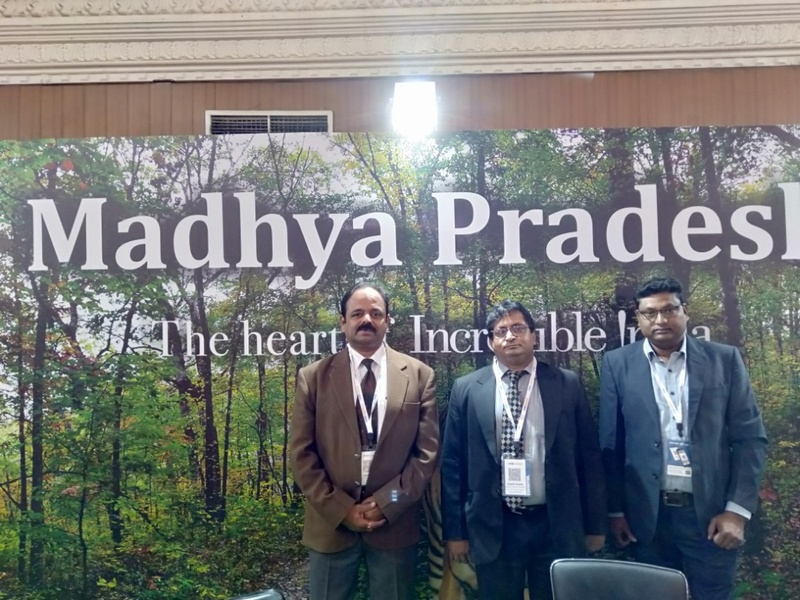 These Buyers and Media representatives visited Madhya Pradesh Tourism stall also and exchanged their views and opinions on Madhya Pradesh with the officials at the stall. In order to create awareness among the native population and tourists regarding cultural and natural heritage in the state, the “Heritage run” activity is being organized at various tourist destination. Next runs are at 17th February on Pachmarhi, 24th February on Khajuraho, Gwalior on 10th March and Pench on 17th March and so on. Also, next international event in Madhya Pradesh is Khajuraho Dance festival from 20th to 26th February. The forthcoming major exhibitions in which the Madhya Pradesh Tourism Board will be participating to carry on with trade networking are IITE in Bhubaneshwar from 15th to 17th MarchandGITB in Jaipur from 28th – 30th April, 2019. The Thames Estuary 2100 is a comprehensive 10-year action plan by the United Kingdom’s Environment Agency to manage flood risk along the Tidal Thames for the next 100 years. Climate change-induced increases in sea level and river flows are estimated to put 1.25 million people and GBP 200 billion worth of property at risk. 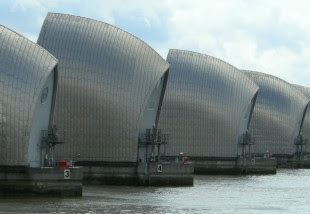 The Environment Agency plans to refurbish and replace tidal flood defenses in London and the Thames Estuary, including the Thames Barrier and 350 kilometers of walls, embankments, and other flood defense assets. The project team, led by CH2M (now Jacobs), successfully established a digital twin of the entire Tidal Thames flood defense infrastructure. With the digital twin, the project team is effectively focusing on flood risk reduction for London and the outer estuary, protecting lives, critical infrastructure, and private property. The project team initially faced the challenge of managing a large dataset of information, primarily in the form of physical drawings and documents developed through decades of work dating back to the 1950s. Understanding the development of the flood defense asset through the as-designed, as-built, and as-maintained records is critical to understanding any subsequent movement or deterioration of the asset. The team selected ProjectWise as the basis for its connected data environment (CDE) and collated over 10,000 documents relating to 4,000 assets to establish the digital DNA of the flood defense infrastructure. The CH2M team augmented the digitized historical records with information on the current condition of assets gathered through field assessments executed with the cooperation of private landowners along the river. CH2M configured its CDE to align with the BS 1192 national standard and to manage data of a higher classification with robust security protocols. Now, employees in over 30 office locations, and over 10 organizations across Europe are connected through the CDE and can access information with minimal transmission delays by using the caching and delta file transfer capabilities of ProjectWise. With ProjectWise’s spatially enabled search interface, users graphically select a region of interest and quickly discover all relevant drawings, pictures, and documents for assets in that area. The team is utilizing ProjectWise Deliverables Management to control the transmission of purchase orders and receipt of data. This data is synchronized to ProjectWise and accessible by external suppliers via a web portal. ProjectWise virtually connects offices to accurate and current information and connects office and field staff during inspection and construction. CH2M estimates that the digital twin enabled by ProjectWise has already saved the project approximately 500 hours, at a cost savings of approximately GBP 25,000. They estimate that the effort to retrieve current and historical data was reduced by 25 percent. With ProjectWise, the team can quickly search, collate, and send information. CH2M is effectively leveraging the digital DNA of their project to achieve the Environment Agency’s long-term vision of managing flood risk for the Tidal Thames over the next 100 years. With the launch of second edition of the popular ‘Fark Dikh Raha Hai’ media campaign today, Ministry of Skill Development & Entrepreneurship aims to mobilise youth and empower them with employable skills. Since it’s inception in July 2015, Skill India has trained more than 1 crore youth every year through various programs under Government of India. The campaign was first launched in August last year and was well received by potential candidates and influencers across the country. It further contributed to the increase in awareness of Skill India from 35% pre-campaign to 56% post campaign. Popular Punjabi singer and industry veteran Daler Mehndi also sang the new anthem for Skill India mission. Titled ‘Hunar Nikharraha Hai, Fark Dikh Raha Hai’, the anthem has been written by notable Indian Lyricist, Screenwriter and Poet, Prasoon Joshi. Focusing on celebrating the success of candidates trained under Skill India mission, the campaign aims to inspire young people to earn a better livelihood through skill training. 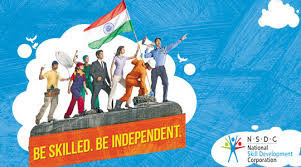 The campaign, a series of ad films, was commissioned by National Skill Development Corporation (NSDC) through leading advertising agency McCann. Since its launch in July 2015, the Skill India Mission under the aegis of the Ministry of Skill Development and Entrepreneurship (MSDE) has touched many people’s lives through its initiatives such as Pradhan Mantri Kaushal Vikas Yojana (PMKVY), National Apprenticeship Promotion Scheme (NAPS) and upgrading and upscaling of Industrial Training Institutes (ITIs). In an endeavour to make vocational training accessible to the youth, Skill India has opened 500+ multi-skill Pradhan Mantri Kaushal Kendra (PMKKs) covering 490+ district across India. The number of ITIs have also been increased from 10,000 earlier to 15,000 in the last five years. To facilitate placement opportunities for trained candidates, Skill India also organized 30+ Rojgar Melas across the country, where more than 1500 employers have shortlisted 60,000+ candidates across different job roles. In the last five years, comprehensive amendments to the Apprenticeship Act 1961 have been made and the number of establishments hiring apprentices has increased from 11,000 to 75,000 today. HP has unveiled the new premium Spectre range that sets the bold standard for premium PC innovation. With this range comprising the HP Spectre Folio and HP Spectre x360, HP has reinvented every aspect of the PC from the material used to build it, to the experiences it can deliver. The result is the transformative form factor designed for true mobility and equipped to easily adapt to everyday use cases. There is a growing desire for personal computing devices that enable new experiences and are built for busy, on-the-go lifestyles. 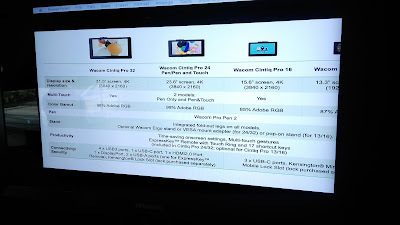 This is especially true for customers looking to purchase a premium device, who spend a significant amount of time using their laptop outside of the home. 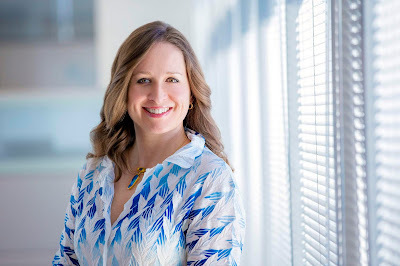 “HP continues to create the world’s most exciting devices that are leading the PCs into a new era of innovation. 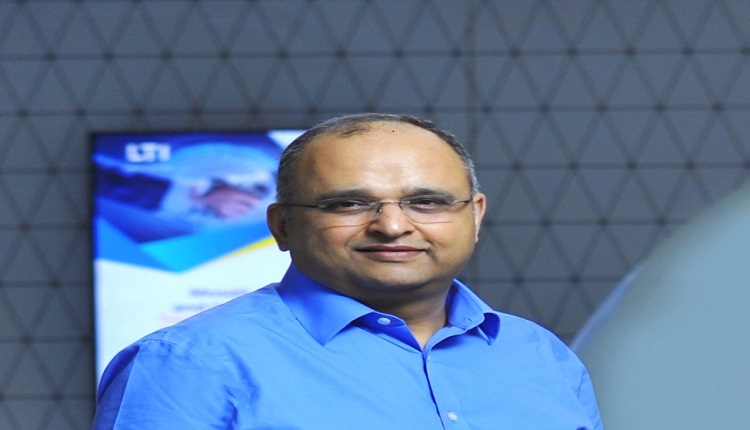 By listening to the needs of our customers and leveraging our design and engineering capabilities, HP is setting new benchmarks for the industry,” said Sumeer Chandra, Managing Director, HP Inc. India. 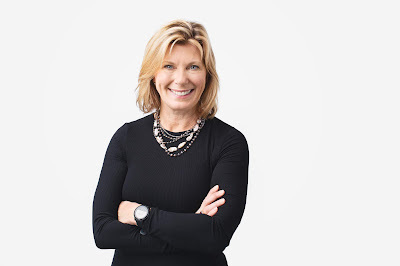 “HP has always believed in insights-based innovation that allows us to deliver the PC experiences that users want. The new HP Spectre series has made a breakthrough in design, versatility and connectivity. 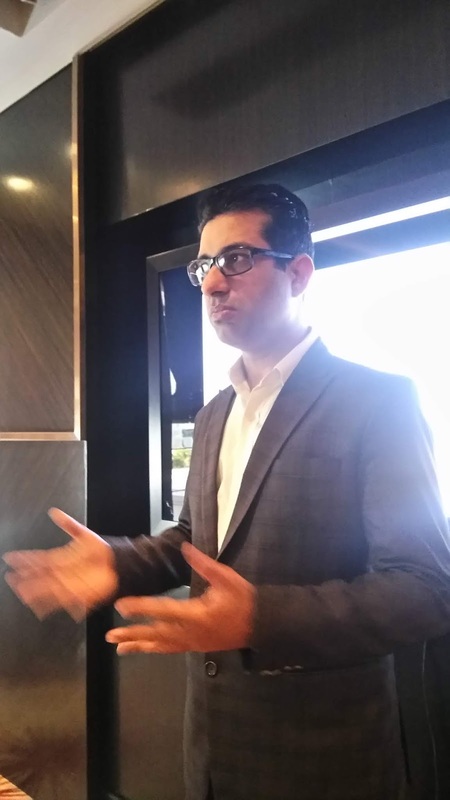 The HP Spectre Folio and Spectre x360 achieve the perfect balance of beautiful design, cutting edge engineering and outstanding performance,” said Vickram Bedi, Senior Director, Personal Systems, HP Inc. India. The HP Spectre Folio provides a PC experience unlike any other. As the world’s first leather convertible PC, HP has embraced the art of “manucrafturing”, where it combines meticulously designed hardware with handcrafted leather and accented stitching. The Spectre Folio builds on the success of traditional laptops, 2-in-1 devices and convertibles, which are designed primarily for specific productivity tasks or scenarios. The result is unprecedented versatility in a PC that seamlessly converts between three distinct positions. To achieve a thin and light design in this radically new form factor, the Spectre Folio incorporates one of the smallest motherboards in the industry, capitalizing on 8th Gen Intel Core i7 processors[i]. An innovative fanless thermal design leverages the unique qualities of leather to create an experience that feels both cool and comfortable in the lap. Other features include up to 16 GB of memory, up to 512 GB of SSD storage[ii], and a low-power, 1W 400-nits FHD for ideal viewing in any lighting condition. HP has worked closely with the renowned global audio and lifestyle brand Bang & Olufsen to expertly tune the four front facing speakers for a superb audio experience in any of the device positions. To create a more immersive experience, HP Spectre Folio comes with touchscreen. The HP Spectre x360 is designed for an on-the-go lifestyle, while offering superior design, leading security and enhanced performance. The model features a cut design that can only be achieved by CNC machining. The attention to craftmanship and detail is visible in the functional design, which enables four distinct positions: Laptop, Tent, Reverse and Tablet. Powered with the latest quad-core 8th generation Intel Core processors, the HP Spectre x360 includes long-lasting battery life. The angled USB-C port provides better cable management, and the dual chamfer design for easier lid lift from three sides. 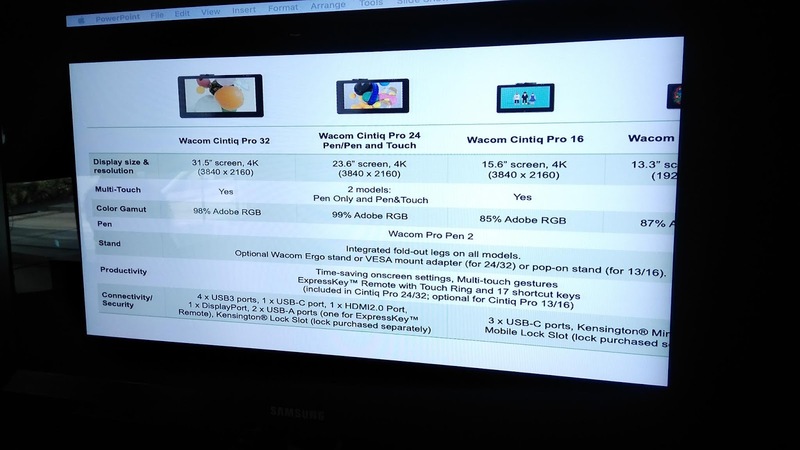 The laptop comes in both FHD 4K (UHD) display options. The unique design of the speaker pattern is also purposeful, with each hole micro-drilled for better acoustic transparency to deliver an amazing audio experience by Bang & Olufsen. 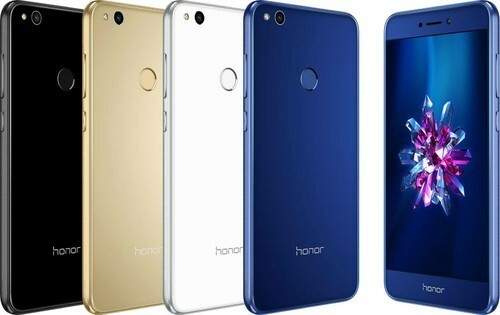 The device also comes with a privacy camera kill switch which allows the user to electrically turn off the webcam when not in use. The HP Spectre x360 is also equipped with optional HP Sure View, an integrated privacy screen to help users avoid prying eyes in public areas. · HP Spectre x360 is available now in Dark Ash Grey at a starting price of INR 1,29,990; and in Poseidon Blue at a starting price of INR 1,39,990. Production-on-demand based youth fashion startup, Styched, launches 'Save Government School Movement' merchandise. The #SaveGovtSchools movement is a statewide campaign in Karnataka that kick-started in July, demanding a comprehensive state education policy to ensure free and quality education for all. It aims to achieve this across all the state-run government schools. The campaign is headed by Anil Shetty, President of the Nav Bharat Democratic Party. The website https://www.styched.in, promoted by Sensedynamic Fashions, is a fast fashion brand targeting the youth. Founded by health enthusiast Sony Joseph, the company is based out of Bangalore and is a pure play ecommerce brand. 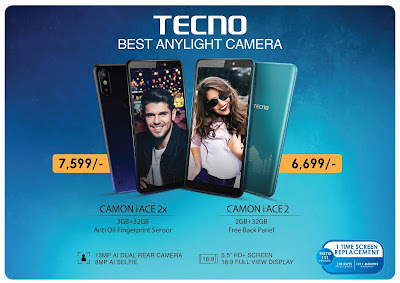 Styched is funded by a group of friends and alumni of IIT Kharagpur, namely, Durga Dash, who heads seller marketing at Amazon India, Saswata Banerjee, who is a tech entrepreneur and ex-Justdial, and Soumajit Bhowmik, who is the ex-Head of Marketing at Jabong and the current Director of Ecommerce at Capillary Technologies. The brand aims to become the go-to brand for the youth and millennials for fast fashion - high quality apparel at lowest prices. The company is gearing up for some major alliances across various sports formats and movies to be the official fan tee provider in India. 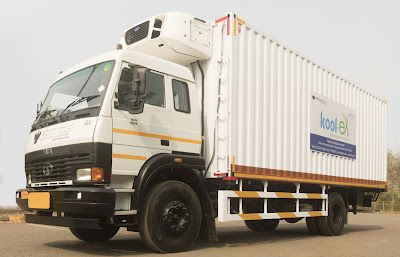 In a first of its kind transaction, Tata Motors along with Tata Motors Finance Group entered into strategic tie-up with Kool-ex Cold Chain Limited – a leading Pharma Cold Chain Logistics Service Provider to supply 200 Fully Built Reefer Trucks manufactured by Tata Motors. Land Rover in India has launched its latest digital and social media campaign, ‘Never Stop Discovering’ to create conversations around India’s wildlife and thus recognizing the stupendous work being done to protect our diverse wildlife by some of the most passionate and knowledgeable minds in India. 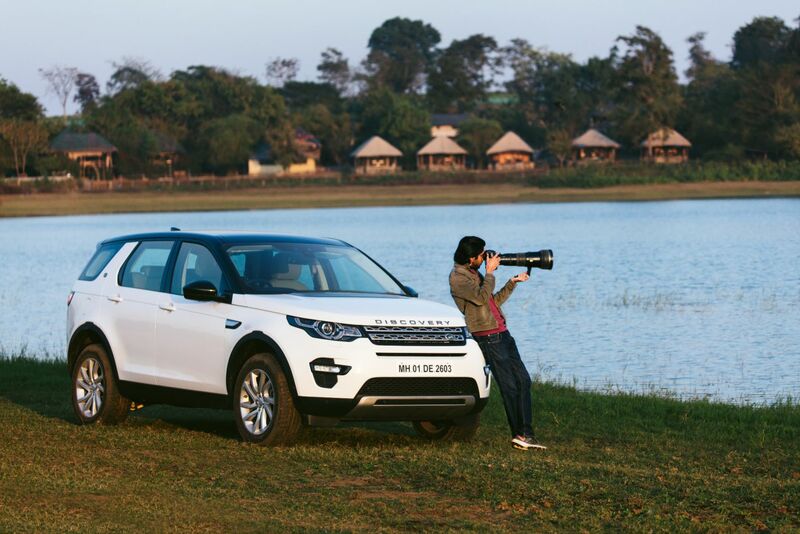 This follows the very successful ‘Discovery With A Purpose’ journey, undertaken in February 2018 in Land Rover Discovery vehicles that covered 1 200 km across various forests and terrains of Assam and Arunachal Pradesh, to create awareness and conversations around India’s endangered wildlife. 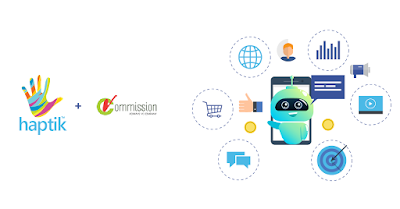 Haptik, one of the world’s largest conversational AI platforms has announced its alliance with vCommission, leading Global affiliate network, to implement Conversational AI solutions in performance marketing. 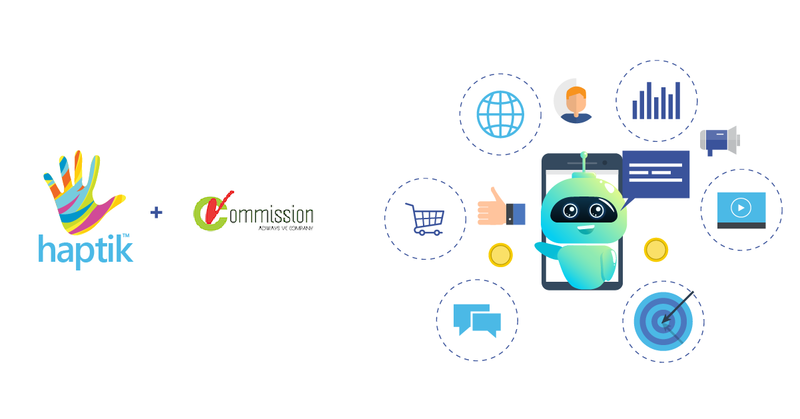 While Haptik will work with publishers in integrating chatbots on their digital properties, vCommission will work closely with marketeers to offer performance based advertising options which is non-intrusive ad experiences within these properties. 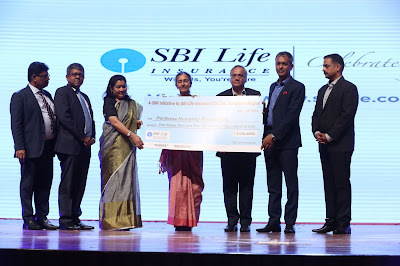 Zillious Solutions Private Limited, an on-demand SaaS travel technology solution, with market leadership in the corporate travel segment in India has offloaded 80% stake to Ebix Inc., a NASDAQ listed leading international supplier of On-Demand software and E-commerce services to the insurance, financial, healthcare and e-learning industries through its Indian arm Ebix Software India. Zillious is a pure-play on-demand technology initiative which enables end-to-end technology needs of travel management companies (TMCs), corporate, travel agents and Online Travel Agents(OTAs) in the travel industry. The Company is a market Leader in the Indian Corporate Travel technology space, serving 7 out of top 10 TMCs. The Zillious Exchange processes over 8 Million travel bookings annually, with Gross Merchandise Value (GMV) of approximately $1.4 billion per annum. Zillious will remain a non-aligned technology platform, and Ebix will promote it internationally in key markets like the Middle East, US and Asia, besides further establishing it as a pure-play on-demand travel technology exchange within India. Both the promoter founders of Zillious, Harsh Azad and Rohit Gaddi, along with all their domain intensive team will continue to work towards this endeavor. Accordingly, the Zillious platform will continue to be offered to the entire travel industry with a glass wall protection for the client base. “Our decision to offload a majority stake to Ebix was based on our Long term Vision to have a Global footprint by expanding to US, UK, Asia, Australia & New Zealand. With Ebix’s Global reach we will be able to fulfill this vision faster and seamlessly. We at Zillious have been passionately Non-Aligned and independent. In Ebix, we found a partner which was in tune with our core philosophy. This decision will benefit our existing and potential customers immensely”, says Mr. Harsh Azad, Co-founder and Director Zillious. 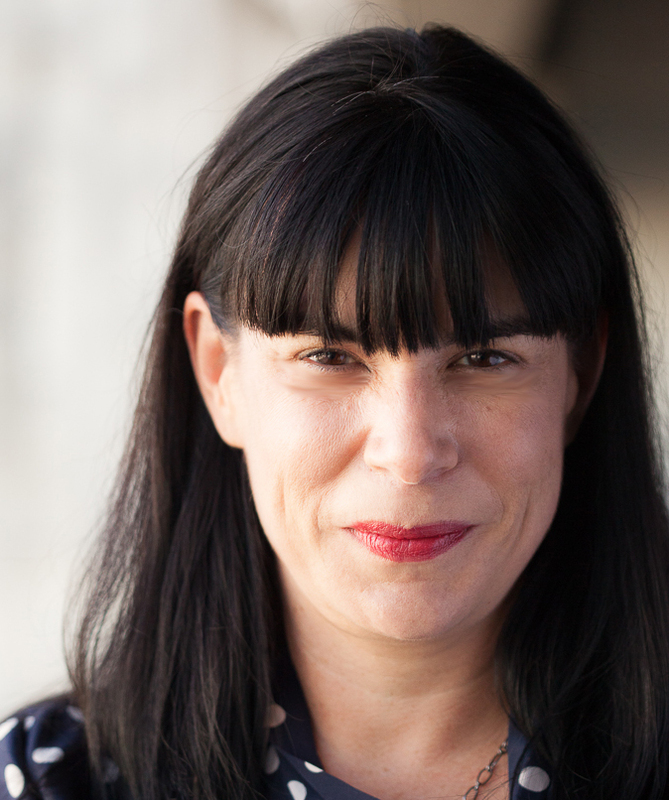 “Ebix will help us grow across the globe and the Zillious team will continue to grow with us. Infact, to meet the increased volume of work, we will look at hiring tactically, shortly. Our customers will not only be serviced by the same Zillious teams but will also have access to cutting edge technology on a global level. We remain committed to working with our clients and spearheading the team in the best way possible. We will remain at the helm and lead from the front”, says Mr. Rohit Gaddi, Co-founder and Director Zillious. The Zillious product range is a complete end to end technology suite which encompasses its industry leading booking engine using multiple sources of fares and availability to ensure the lowest and most accurate fares, combined with comprehensive reporting and management capabilities. It provides a single window to address all the travel booking needs of the travel agency staff and business travel center staff to serve all their booking queries. Zillious platform is interfaced with all the key GDS service providers globally. 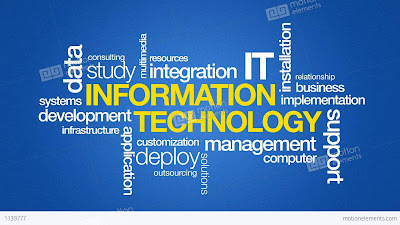 With powerful reporting and corporate compliance, multi-channel consultant, implant and Self Booking Tool (SBT), comprehensive user management and auditing, highly sophisticated mobile booking application, multi-product booking engine etc., the Zillious platform is today seen as the most powerful travel technology platform for the Corporate sector. The Company has the unique solution of offering its core travel technology platform (SBT) to corporates directly apart from the TMCs. The Company recently expanded its operations in Middle East and has already successfully on-boarded three large travel accounts in Middle East. 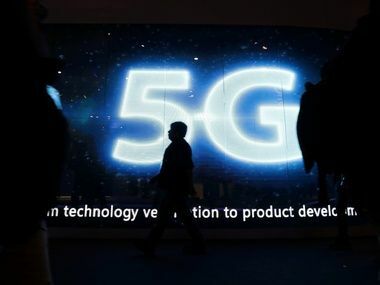 The economic impact of 5G is estimated to be over one trillion dollars for India, which is aggressively positioning itself to be at the forefront of the new age technologies, said Communications Minister Manoj Sinha. “While we are gearing up for the next wave of digital transformation, it is also important to ensure the safety, security and sovereignty of digital communications...It is important that we focus on security testing and establish appropriate security standards. We have recently started a state-of-the-art facility for preparation of security assurance standards, putting us at the forefront of technology,” Sinha said. 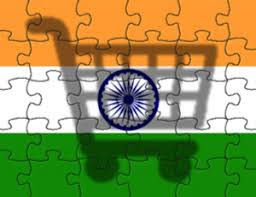 “Our challenges are different...we need telecom networks to deliver inclusion, basic services, to connect the unconnected, and serve the under served,” she said, adding that India, with its technological prowess and manufacturing capabilities, is keen to partner other nations who are looking for affordable and robust digital communications solutions.